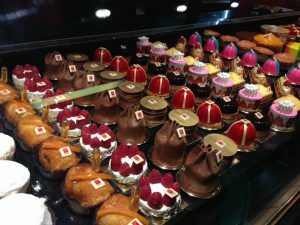 On day three of our trip we began the day by visiting an indoor/ covered gourmet market called Les Halles de Lyon- Paul Bocuse. It was named after the famous chef, Paul Bocuse who is a legendary chef in France. 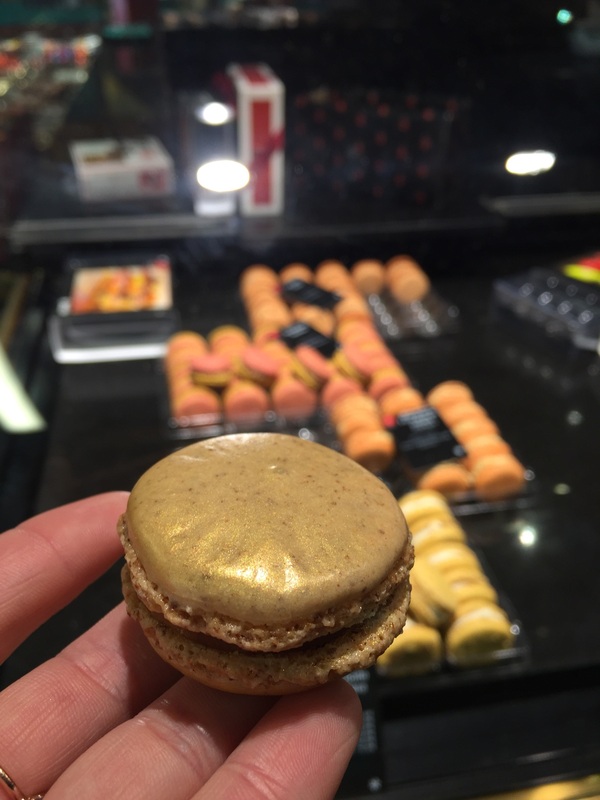 This market has some of the best chefs around including several Michelin star rated chefs. 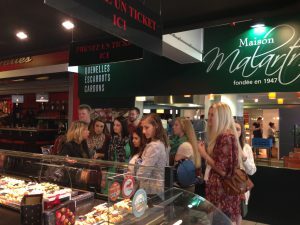 Today we were able to walk around, taste and experience some of Lyon’s specialities and French cuisine in general. Some of the food we tasted included macaroons, which are a dessert cookie. Then we tasted quenelles which are a Lyonnaise speciality. They are similar to a gnocchi and can be eaten plain or eaten with a sauce. Quenelles are made with flour, cream, egg, butter, salt and pepper. Specifically, we tried ones with sesame seeds. 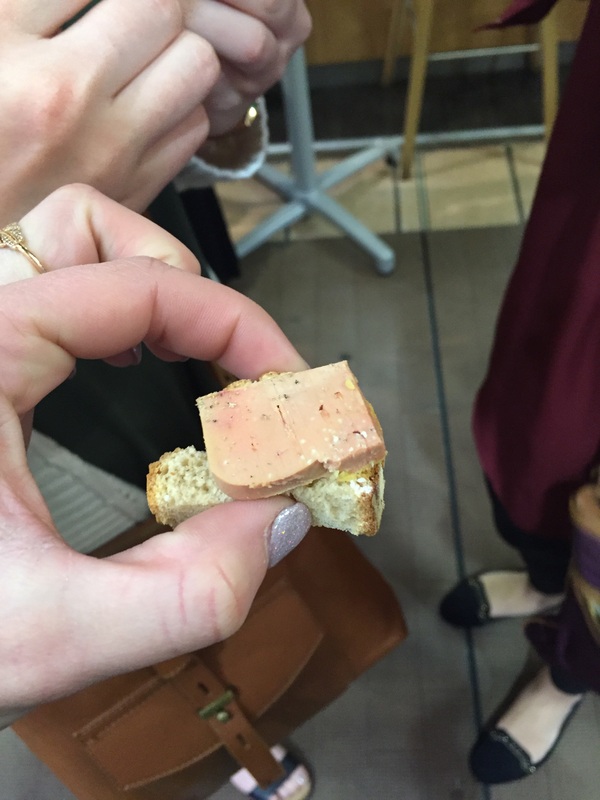 Next, we tried foie gras. Many of us have never tried this before and it was quite an experience. Foie gras is ground up duck liver, and we tried it on a piece of bread. 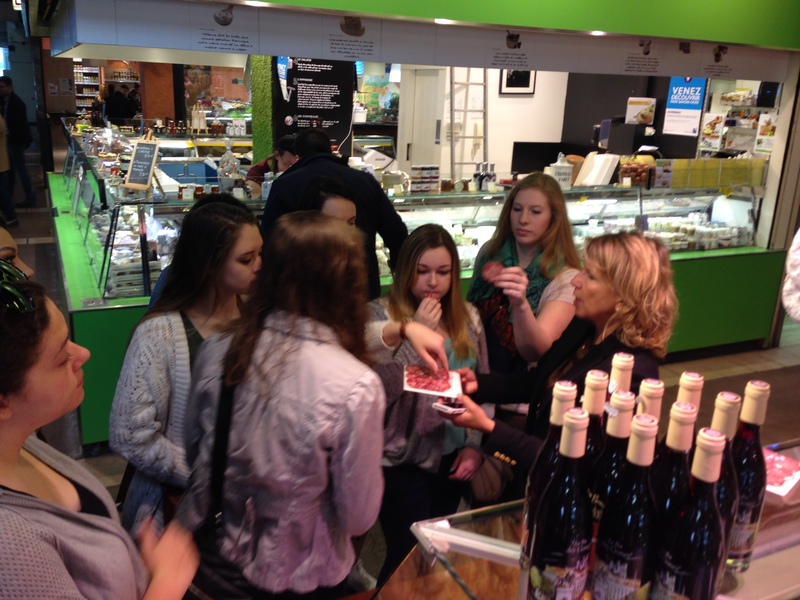 Then we visited a cheese shop, where we tasted a delicious cheese Lyonnaise speciality called, Cervelle De Canut. This is a soft cheese with garlic, peppers and other herbs. This is one of the few pasteurized cheeses in France. Although you may find pasteurized cheeses in France, it is not common. 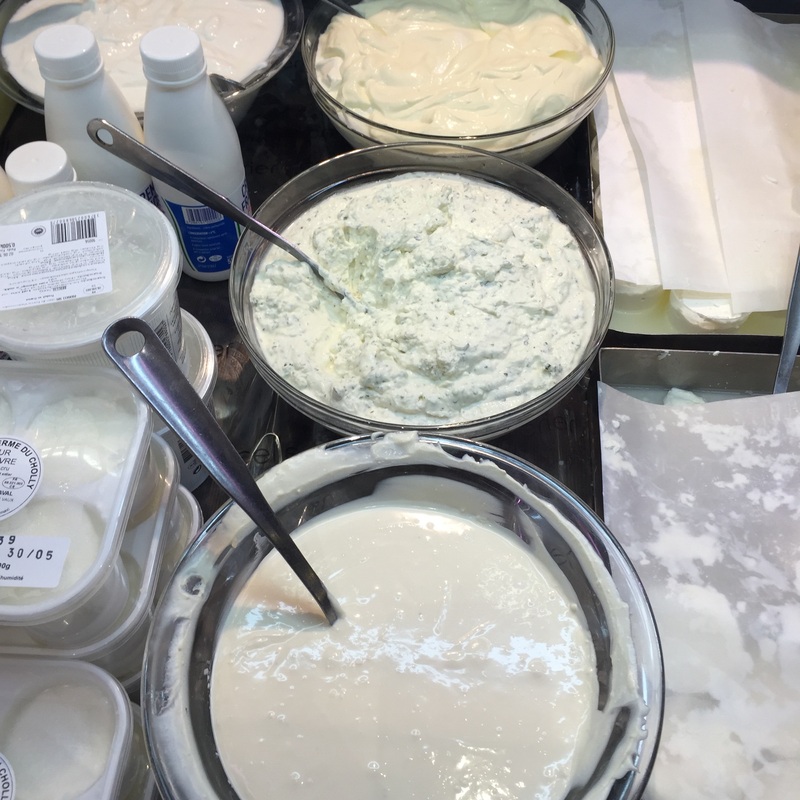 Most often you can find raw cheeses or heated cheeses. Some raw cheeses we saw include Pallasse Beaujolaise. Raw cheese in French is called “lait cru”. 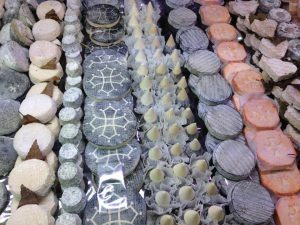 Heated cheeses, called “lait thermise”, are another type of cheese that is lightly heated but not completely pasteurized. An example of this is called Tomme de Savioe. The Cervelle de Canut was a very popular choice in our class! We learned quickly that next time we should BYOB (bring your own baguette) due to the fact that we ran out of bread more quickly than we ran out of cheese. 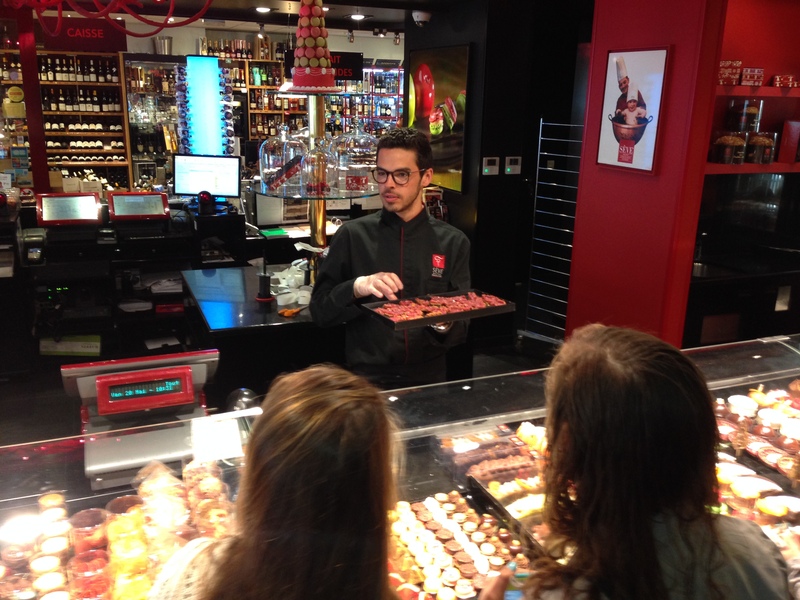 We also were lucky enough to visit one other shop, where we tasted two different sausages. One beef based and one pork based sausage known as Rosette and Saucisson de Lyon, respectively. Although we were unable to visit them all, there were 60 shops total in the market with a variety of meat, cheese, dessert, and seafood! Our tour guide Anne was a knowledgable individual who taught us more than we anticipated to learn about French food and the effect food has on French culture. Anne quoted a common saying of the French, “live simple and lead a good life”, and she taught us how to do so at this market. 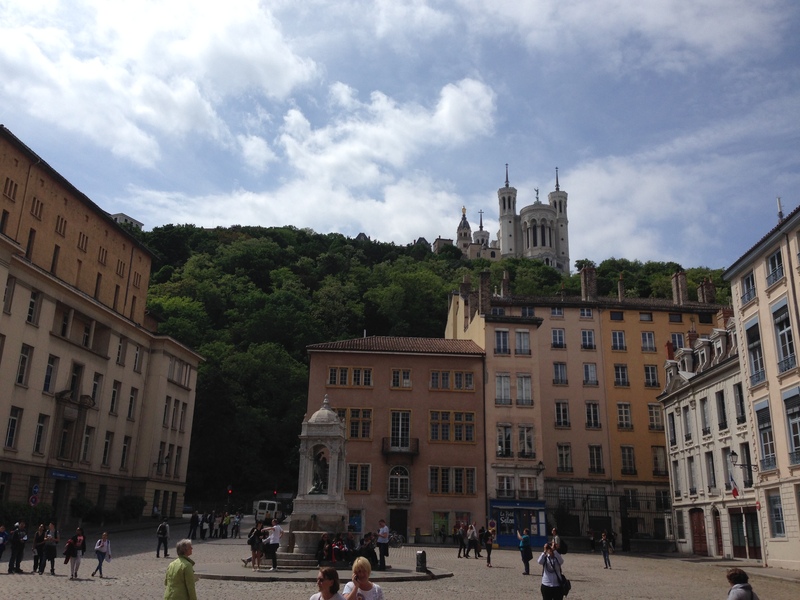 For the second half of our day we went on a historical tour of Old Lyon. 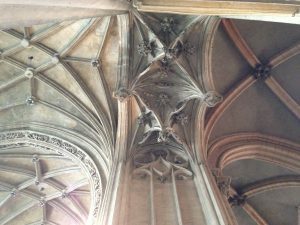 During the two hour tour we learned much about the architecture of buildings through the 14th, 15th and 16th century. Specifically, we learned about how the architecture did and did not change through the periods of time and why certain changes occurred. 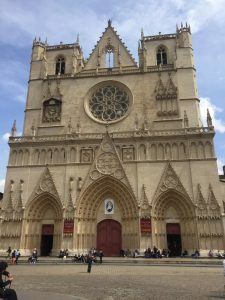 In order to learn about the architecture we walked through the traboule, or the courtyards of buildings to look at the arches and stairways to compare the differences between each century. 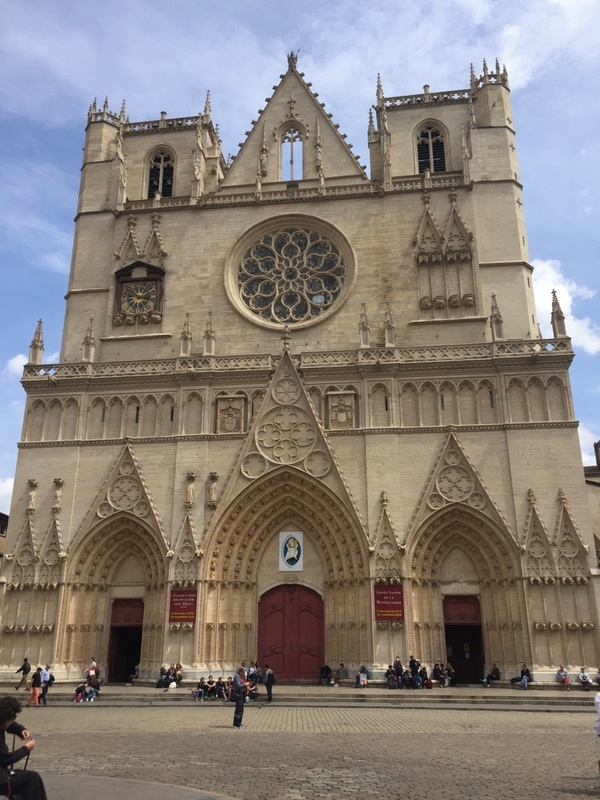 After the walking tour of Old Lyon, we visited La Basilique de la Vierge Dorée, the Cathedral of the Golden Virgin. 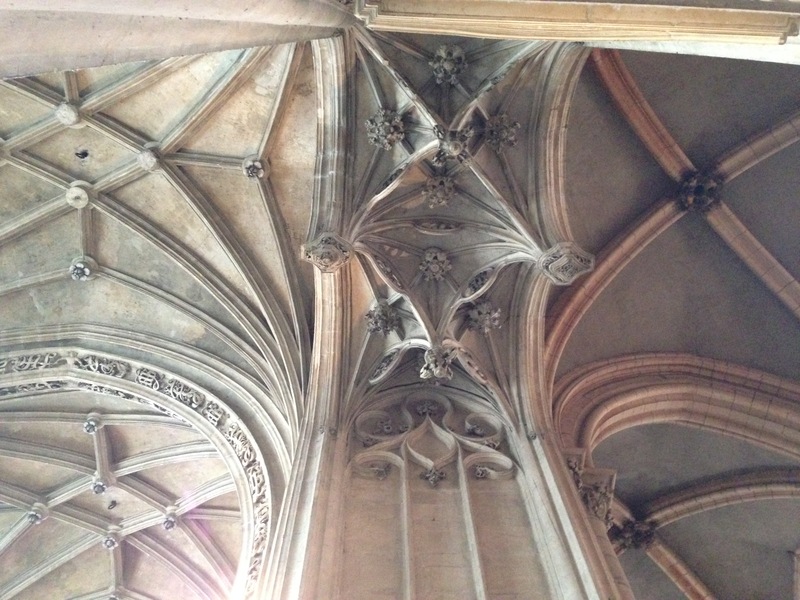 Here, we were able to see the amazing architecture of the cathedral. 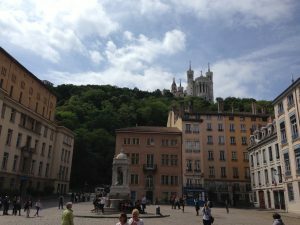 The cathedral is located above the city of Lyon and because of that we were lucky to have an amazing view of the entire city. 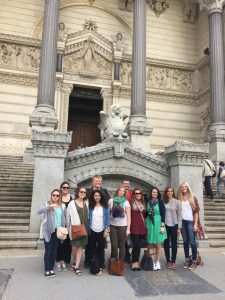 *This post was co-written by Food Microbiology students Haele Dixon and Danielle Vogel.